The good news is that Americans are living longer. The bad news is that this increasing lifespan often means that at some point in the latter part of life, it often means extensive medical care, as well as becoming necessary for a senior to be admitted to a nursing home or require at-home healthcare. Unfortunately, when these situations arise, it can mean the evisceration of the individual’s life savings, with the bulk of medical costs being paid out-of-pocket because the assets prohibit the person qualify for Medicaid assistance. At Legal Sweeney, each elder care lawyer has built a strong reputation for working diligently in making sure that our clients’ assets are protected from astronomical medical costs, leaving their family in financial stress. One of the ways to protect these assets and ensure that your children will receive their inheritance is to gift these assets before the day comes that it is necessary to apply for Medicaid benefits. However, as an elder care lawyer may advise you, it is also important in protecting these assets that this gift is not just given outright but utilizes an irrevocable trust for the process. When a person sets up an irrevocable trust, they no longer have any control over or considered the owner of the assets that are placed in the trust. This also means that they have no tax obligation for these assets for any interest, dividend, or other profit the assets may generate. Once the assets are placed in the irrevocable trust, the trust cannot be altered or canceled. Since the individual who sets up the trust no longer owns the trust assets, those assets can’t be used as a source of income when the individual applies for Medicaid or other government assistance programs. In addition to asset protection for the individual who sets up the trust, there can be specific instructions that will protect those same assets from certain circumstances for the beneficiary, including protection from creditors, lawsuit judgments, foreclosures, garnishment, and divorce. Your Danbury CT elder care lawyer can explain what provisions will need to be added to the trust instructions to achieve that additional protection. Another consideration that may need to be addressed is if the beneficiary is disabled and receives government assistance. Any inheritance – such as would exist with the irrevocable trust – could affect the beneficiary’s eligibility to those benefits. However, your elder care lawyer can take the funds in the irrevocable trust and transfer them to a special needs trust that is structured specifically to protect beneficiaries from the loss of benefits. The final benefit to setting up an irrevocable trust instead of just direct gifting it to the beneficiary is that tax benefits. Should the assets just be given directly to the beneficiary, they may be liable for tax obligations for ay appreciation of property in the trust. An irrevocable trust can be structured so the beneficiary avoids any capital gains tax for that appreciation. For many families who have finally had to make the decision to put their loved one in a nursing home, it is sadly not uncommon to hear stories about nursing home abuse, as an elder care lawyer Danbury CT trusts knows all too well. However, when many people imagine nursing home abuse, they probably are picturing terrible stories of nursing home residents that are being tormented physically and psychologically or exploited financially by their nursing home staff. While these examples are very serious types of abuse, there is another, equally as serious, type of abuse that often goes unacknowledged: neglect. With the millions of Americans who live in nursing homes throughout the country, neglect is often an understated problem that could cause a significant risk to the elderly. If you or a loved one has suffered from nursing home neglect, you may want to contact an elder care lawyer Danbury, CT can turn to. The professionals at Sweeney Legal, LLC have many years of experience fighting to give voices to nursing home abuse victims. Nursing homes are designed to provide a safe space for the seniors and elderly. Many seniors are placed in nursing homes due to the inability to care for themselves mentally or physically, or because a family member cannot care for them. Sadly, the staff at many nursing homes abuse their residents—this abuse can take the form of physical, emotional, or psychological abuse. If someone in your family is residing in a nursing home, take care to see how that person is being treated. 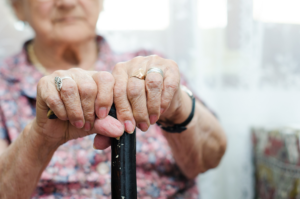 By learning about the signs of elder abuse, you know exactly what to watch for and which steps you need to take to deal with this offense, including contacting a elder care lawyer serving Danbury, CT.
What is Considered Nursing Home Neglect? If a nursing home does not provide their residents with basic necessities or allows their residents to deny basic necessities for themselves, it is illegal. An elder care lawyer Danbury, CT families need would be able to investigate the neglect and find the degree of illegality and how severe the violation would be by the nursing home staff. Unfortunately, elder abuse can take on many forms. Among these are physical abuse, sexual abuse, and verbal abuse. Although it is common for the abuse to occur at the hands of the staff, it can also occur by other residents. While some abuse might be more obvious—such as physically hitting or kicking a resident—another abuse is false imprisonment of the residents, financial abuse of their personal funds, and neglecting the patient physically or mentally. False Imprisonment: this occurs when the nursing home staff do not allow a resident to leave certain areas within the building. This could be their bedroom, a wing within the facility, or even an outdoor space. Imprisonment can happen when a staff member takes away their means of mobility—like a wheelchair, walker, or crutches—or even threatens the resident with potential harm or nutritional deprivation. Financial abuse: a staff member or resident might steal personal items of value that belong to the resident, and even steal their private information so that they have access to stealing money from the victim’s bank account. Other forms of financial abuse might be forcing the resident to modify their deed or will, or even trumping up false fees to swindle money from the resident’s savings. Neglect: a staff member can neglect the resident to the point where the resident falls into serious potential or actual harm. For example, if a staff member does not bathe the resident routinely, the resident can get sick from lack of care. Or, if a resident needs help eating their food and a staff member does not assist with eating or drinking, the resident can quickly become malnourished, leading to sickness or even death. Because there are different types of elder abuse, the warning signs will be varied. What can you do if you suspect elder abuse? Verify the resident’s story. This can be done by checking their facts and attempting to verify with other residents. Remove them from the nursing home in question. If you are worried about their safety, help them transition to a new nursing home as soon as possible. Inform the authorities. As soon as you see that elder abuse has occurred, inform the police or the district attorney. Hire an Attorney. When elder abuse has occurred, consider hiring an elder care lawyer in Danbury, CT who will fight relentlessly for victims. Nursing home neglect carries a mix of criminal and civil laws that apply to varied cases of neglect. If a nursing home staff were to unintentionally or accidentally miss a resident’s doctor’s appointment, it may not violate any law, however, if the neglect became more repetitive or serious, it could result in violations of civil or criminal laws. Once a nursing home staff is charged with civil or criminal charges, specific remedies for the neglected victim and punishment for the staff will begin. If a nursing home intentionally causes or allow a resident to be injured or their health to suffer that could result in death or great harm, they could face criminal charges, which could result in up to seven years in prison. While it is never an easy decision to make, many children must place their parents into nursing homes because they are no longer able to care for them properly. This could be due to physical medical conditions that they are simply unable to take care of all day and all night (such as severe seizures), or it could be dementia or Alzheimer’s disease. When you place your parent in a nursing home, you do so because you believe they will give them the best care possible and treat them with respect and dignity as they continue to age. However, this is not always the case, and there are many nursing homes that do not even give their residents the proper nutrition they need. If your loved one is in a nursing home in Connecticut and you believe they are suffering from malnutrition, this can be devastating news, but it does not have to be the end. The attorneys at Sweeney Legal care about their clients and their families and fight to protect the rights of those who are unable to advocate for themselves. To speak with an elder care lawyer Danbury CT trust about your loved one suffering from malnutrition in their nursing home, call our office now. Is It Breaking the Law? Although it is not the responsibility of every resident or their loved ones to know every law regarding nursing homes, there is one law that is simply standard practice. A nursing home must ensure their residents’ basic living needs are met. This includes getting them water, food, keeping them clean, and providing them with shelter. Under no circumstances should your loved one become malnourished while they are at a nursing home, except for outside medical reasons. A nursing home neglect lawyer in Danbury CT from Sweeney Legal is well versed in nursing home law and can discuss your options with you. The staff does not have the proper experience. If the nursing home does not train their staff properly in what their residents need, they are unable to properly care for them. The staff work too much. If the staff member to nursing home resident ratio is significantly different, or the facility asks the staff to take on too many responsibilities, they cannot provide each resident with the necessary care. Punishing a resident. In some cases, nursing home staff may feel that punishing a nursing home resident who cannot care for themselves is the best way to solve a problem. When this happens, they may take away food as a form of punishment or leave a resident on their own and not check on them. A nursing home neglect lawyer Danbury CT relies on will do the heavy lifting when it comes to gathering evidence of neglect. What Can I Do If I Suspect Malnourishment? If you suspect a nursing home is treating your loved illegally causing malnourishment, contact a nursing home neglect lawyer Danbury CT at Sweeney Legal immediately. Your loved one’s life may depend on it. There is no reason they should not be receiving the proper care at a nursing home. To consult with an experienced nursing home neglect lawyer in Danbury CT call us now. An ombudsman is a key element in nursing home abuse cases, as well as, advocating for the residents of nursing homes or other facilities that care for elderly citizens. Ombudsman may be paid officials or volunteers who donate their time for the cause of neglect and abuse in nursing homes. Work with the elder resident, their family members, and the nursing facility. Work with the government and police in a legal and investigative manner. The primary role for the ombudsman is to protect the elder against potential neglect, harm, or mistreatment by the nursing home staff or facility. They ensure the rights of the elder are protected, and their quality of care remains up to the normal standards. Ombudsman also have the ability to set forth administrative changes in the way a nursing home operates. They do this by making routine visits to the facility. These visits are done at random or when a complaint against the facility has been filed. A visit to a facility helps the ombudsman to gain an understanding of what is going on in terms of treatment, staffing, operations, and so forth. Due to their position, they tend to be able to see a potential for elder abuse. Often at the visit an ombudsman will be on the lookout for signs of elder abuse and neglect. Through this they can not only act as an advocate on behalf of the elders’ rights, but also improve the levels of care. Ombudsman may act as a point of contact between the nursing home and the elder. Family members of the elder, or the elder themself, can file a complaint or discuss their concerns directly with the ombudsman. The ombudsman may help to the elder from feeling unimportant or isolated by working with him or her to ensure improvements are made. Ombudsman also may work with various government agencies. Usually after visiting a facility, they will report their findings to local, state, and federal organizations or agencies. This is done in an effort to address any problems and where possible improvements can be made. Ombudsman will also enter their findings into the National Ombudsman Reporting System. This system contains data such as the facility name, the number of times it’s been visited and for how long, the type of complaints, and how they have been handled. Ombudsman may be assigned to a case after a complaint has been filed with a local or state agency. This could include the Administration on Again, law enforcement, or another government agency. In general a complaint can be filed whenever the elder or their family believes neglect or abuse is happening in some capacity. If the facility refuses to address the concern, ignores it or cannot resolve it, the official complaint may be filed in a way that a third party, such as an ombudsman could get involved. It is important to note that an ombudsman is not a nursing home lawyer and cannot file a lawsuit on behalf of the elder or their families. If you believe abuse or neglect is occuring, in addition to working with an ombudsman, you should consult a nursing home lawyer. When you place a loved one in a nursing home facility, you are entrusting their lives into someone else’s care. It is important that nursing home staff are held accountable for their actions if they are neglecting their residents. If you believe your loved one has been a victim of nursing home neglect, you should contact an elder care lawyer Danbury, CT residents look to. Legal Sweeney has experienced attorneys who have experience in nursing home law. Our team will work to give a voice to your loved one and will fight to ensure the nursing home stops their behavior and is punished for any wrongdoing. Remember, the safety of your loved ones in nursing homes is of extreme importance to us. For more information regarding elder abuse and nursing home law, contact an elder care lawyer Danbury CT needs at Legal Sweeney today to schedule a consultation.